Be the NSA that your clients deserve. 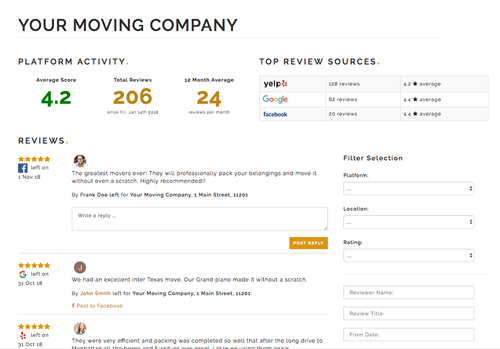 Monitor all of a company’s reviews and feedback from one dashboard. We support over 150 different review and rating platforms to give real time updates whenever something new appears. 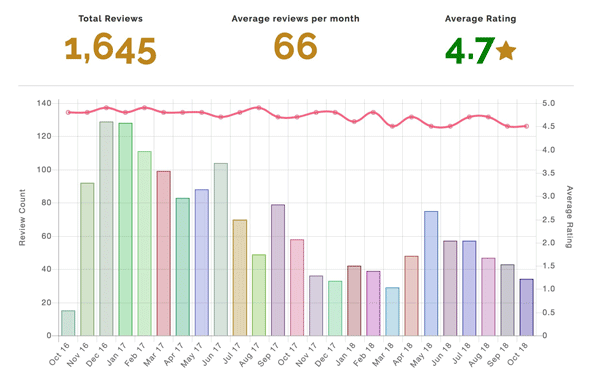 Reviews appear in one centralized dashboard, with tools to quickly search or filter based on any criteria that matters. Save hours scanning multiple websites, or waiting for delayed emails from different platforms to arrive with good, or bad news. 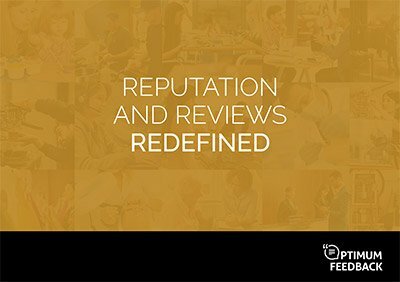 Respond to reviews from supported platforms such as Google or Facebook directly within Optimum. Support overseas client locations with support for non-US platforms in Europe, Latin America and Australia. 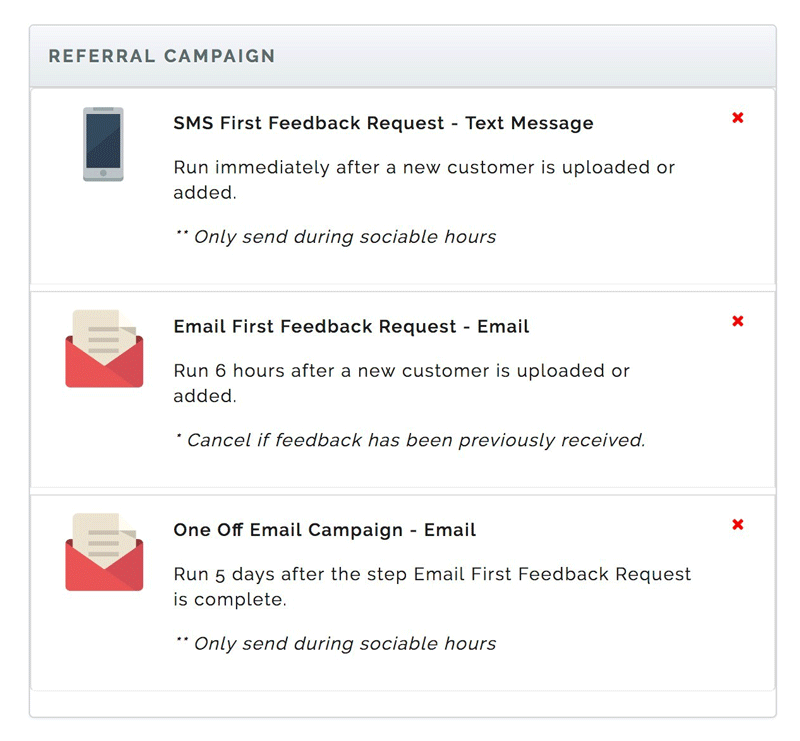 Create intelligent alerts to notify one, or many people based on the review or the business. Every time a business sends a single email-based review request, they miss out on an opportunity to capture 2 - 5x more positive reviews. A customer may be happy, but everything from email deliverability issues through to a lack of time on their part creates an obstacle to getting a completed review. Maximize your client's request to review conversion rate with automated campaigns. Send sequenced, multi-channel messages at the optimum time of day for that customer that automatically cancel the moment feedback is left. Customer testimonials are shown to increase on-site conversion, but getting those testimonials can be tricky. Getting customers to trust those testimonials adds even more complexity. Responsive widgets showcase your client's best reviews, work on any mobile or desktop website and can be installed in seconds. All reviews link back to the original source increasing customer trust and providing instant validation and social proof. For businesses with multiple locations, sending the same alerts to every user on the entire account for everything that happens will soon result in chaos. Send store managers instant alerts for everything that happens at their store. Send area managers daily alerts for negative feedback only for stores in their area. Send marketing people weekly summaries with everything that happened across all the company's locations. Send yourself ... you get the idea. Because Optimum understands that a highly rated review can sometimes contain negative or critical content. Our negative review alerts activate when anything that may have an adverse effect on a business or brand goes public, even if it seems positive on the surface because of the rating. Let data be your guide. Monitor aggregate review and feedback data over any time period for one or multiple locations. Multiple reporting levels let some users see the wider picture in an overview and others drill down to specific reviews to spot and troubleshoot issues. Spot real-time trends in customer satisfaction with review insights, and monitor ongoing customer loyalty with bespoke NPS reports. Start a client's campaign with a steady stream of new positive reviews. Tangible results from day one reduces churn and shows an immediate ROI. Use drip campaigns to generate reviews from a client's past customers, with the rate of delivery modified daily to provide a steady, but natural looking flow of new reviews.